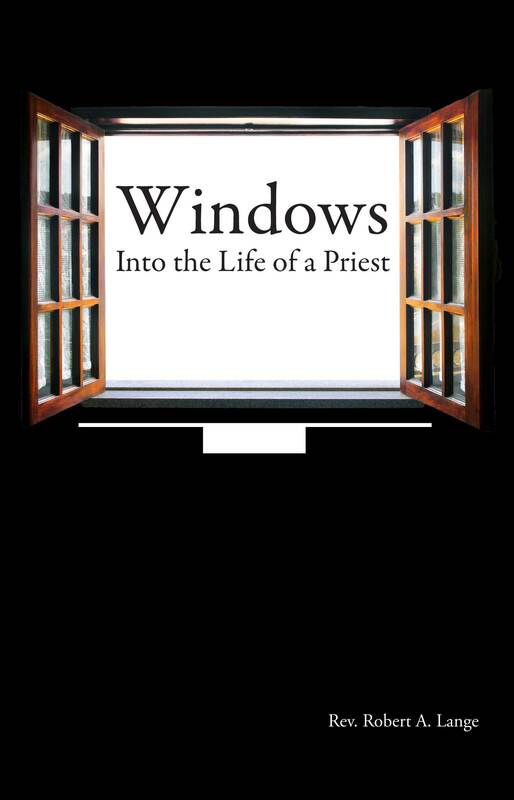 Father Robert A. Lange’s engaging memoir, Windows into the Life of a Priest, supplies exactly what the book’s title indicates, namely, an anecdotal account of one man’s Catholic priesthood. While it is autobiographical in the sense that it is based largely on Father Lange’s life and experiences as a priest, the aim and purpose of the book belong more to the realm of Catholic faith and devotion generally, and, indeed, to that of Catholic apologetics, giving reasons for the faith, offering “a defense . . . for the hope that is in [us]” (1 Pet 3:13). Among other things, Father Lange turns out to be quite an effective apologist for the faith. At various times in the text, Father Lange remarks, in effect, that “It’s not about me!” Rather, it’s about faith and God’s grace, how important and indeed necessary they are, and how they literally make life worth living. Father Lange certainly shows that they have made his life worth living—and worth recounting too, for the benefit of others, especially for those he calls wayward Christians. If God could save him—and by save here is meant not only eternal salvation, but rescue from an aimless and empty life here and now—why could he not save you or me as well? That, in fact, is precisely what God wants to do for all of us; he wants to save us from ourselves—if only you and I will respond to his love, abundantly offered to everyone, and cooperate! This is an important part of the message that Father Lange never tires of repeating. The book is also about the Catholic priesthood to which Father Lange aspired, and that he attained. With God’s help he overcame many shortcomings, difficulties, and traumas to become a priest. This is all recounted in loving detail in these pages. Father Lange reveres the priesthood, and treats it with a kind of awe even after all the years he himself has now been a priest. As an author Father Lange presents himself, perhaps exaggeratedly, as a simple, down-to-earth average man, with, however, as he tells the story, more than average flaws, shortcomings, and brokenness. He was away from the faith for a number of years, living an aimless, undisciplined, and even sometimes dissolute life. He is quite frank about all this. Yet through a return to the faith of his childhood, and by God’s grace, as he makes clear, he proved able to become a priest and a pastor in a position to help others in his turn, especially by orienting them towards the same faith in Jesus Christ, in his church, and in the graces that come from faithful Catholic practice and participation in the sacraments that he has experienced in his own life. Just as the long pontificate of Blessed Pope John Paul II demonstrated again that any authentic Catholic faith is also necessarily Marian, so Father Lange is fervent in his devotion to the Blessed Virgin Mary, whom he believes has intervened in his life. Father Lange, in short, quite simply believes that the Catholic faith is true. He believes this in a real and not merely in a notional sense. It is not something abstract; nor is it merely a philosophy, or a theory, or a habit; it is real. It is the truth. Similarly, miracles are real, he affirms, just as are also real interventions by God or by his holy angels, which Father believes he has experienced in his own life. In writing about all this, he also gets into describing various saints, devotions (especially to the Blessed Mother), apparitions, and other graced happenings. Almost painfully honest in describing the failures and traumas in his own life, he nevertheless often sees the pain of it all transformed into love and joy through faith. 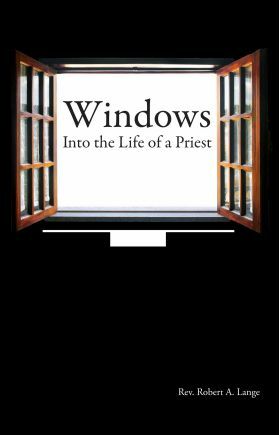 Written in a relaxed and readable style, the book successfully presents vignettes from this priest’s life which are both interesting in themselves, and often edifying, though not in an overly preachy way. At one point, Father Lange remarks: “If I had any gift, it was my sincerity . . . I speak from my heart.” The same thing is true of this book as well; his sincerity indeed does come across. Once again, however, it is not about him. The “me generation” seems to have wholly by-passed him. Rather, his book is about Jesus Christ and his Blessed Mother and his church and how they change the lives of Christians daily—how they do, in fact, make life worth living.